And ferocious faith in her soul. Siddhartha Abhimanyu… People call him Sid, a techie, a beard lover, an ardent reader and a big fan of Nicholas Sparks. He loves reading stories with happy endings. And when he’s not reading he write poems; which helped him impress a long list of girls. Isha Reddy, the queen of his little heart. The first time Sid saw her, he couldn’t blink even for a second. She, being a writer, director of three award winning short films, hates men with a stubble and, has a different opinion on life. Sid falls in love with Isha. Isha could not escape from Mr. Charming. They date over a cup of coffee. Sid also acts as the male lead in Isha’s new short film. Niharika, Sid’s direct report in office falls in love with Sid. He rejects her proposal, but destiny has different plans. They have to fly abroad to execute a project. Shivani, Sid’s reel life heroine, get introduced to him by Isha. Shivani kisses him during a shoot. This along with a series of incidents hurt Isha. Isha breaks up with Sid. Both Shivani and Niharika waiting for this opportunity, what will happen to Sid and Isha’s love? Will Sid and Isha reunite? Will Niharika get what she wants? Or will Shivani succeed in her masterplan? 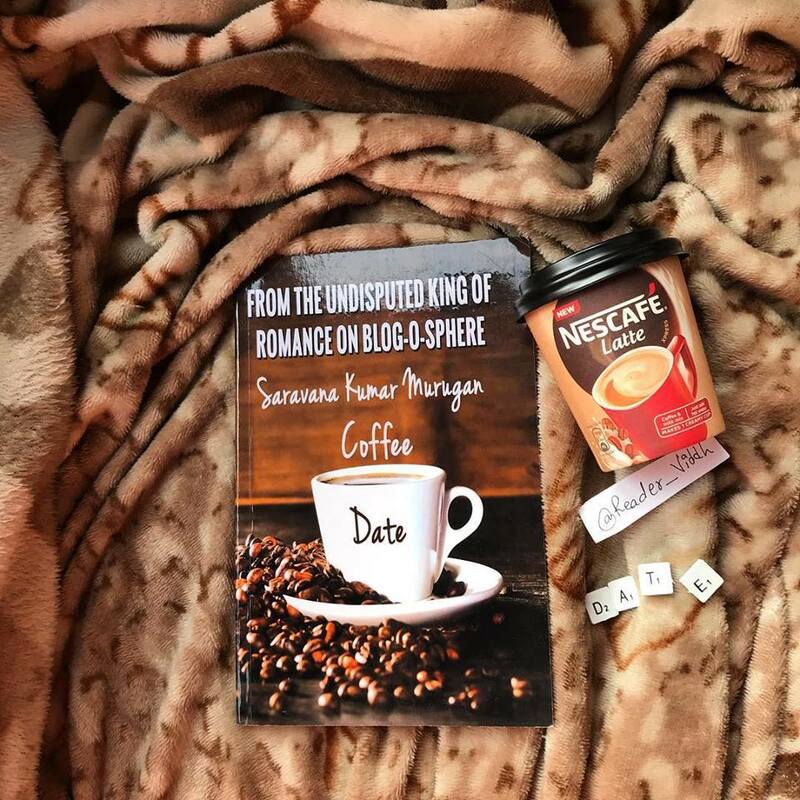 Read and cherish this tale of love from the Undisputed King of Romance on Blog-o-Sphere.Coffee Date, the real taste of love! The book is as addictive as the title is. yes! first of all, I loved the title and cover of the book. It’s too impressive and eye catchy. The story revolves around Sid and Isha who are madly in love with each other. Both have a very good independent personality.Isha, fun loving, bubbly girl with full of enthusiasm and Sid, a matured man with a lot of talents. They recite how they met first time on a coffee date and fall in love with each other. There are many interesting characters in the story, Niharika is one of them. One who loves sid and tries to break Isha’s and Sid’s relation using the power of Social Media. Equally, for Isha, Social Media is like a religion, She answers Niharika’s every comment with power and cheerfulness which irritates Niharika to the core. Apart from Niharika, it’s Shivani, Isha’s Roommate who falls for Sid. Will their plans succeed? will Isha’s and Sid’s love story get end? There were so many questions that were in my mind. The author has beautifully plotted each and every character. Each character be it Reema, Diwa, Viki or any other had its own quality. I loved the conversations between Isha and Sid. It was like living your dream Love story. I also loved the poems that Sid recited for Isha. Each and every poem was just love. well, well, I also fell in Love with sid’s home. the way the author has described his home, it feels like we should have one dream home like that. Isha and Sid’s character were something that everyone can fall in love with. I also love how Isha’s parents accepted her decision to be with Sid. Things are surely changing now and mindset of people too. The plot is also good with full of twists, suspense, thriller. The office tales, the coffee date write-up, etc. everything was so pure. we can easily connect with each and everything in the book. The author beautifully maintained the writing style, as it was easy to instantly connect with the book. The pace of the story is lil slow. There were some parts which felt like interrupting the story. But at the end, it was a curiosity to know what will happen next made me ignore that parts. The tempo is too good. I loved the climax. it was something unbelievable. The writing style of the author is simple and interesting. The story is all about Work, Friendship, Bonding and of course Love over Coffee Date. Overall, It’s a good read with full of love, interesting plot and good characterization. This coffee date is really an addictive one! If you love reading fiction, This book is the Must read. Thank you so much for the encouraging feedback. I'm so happy and excited! This review, will stay as a special review of Coffee Date.